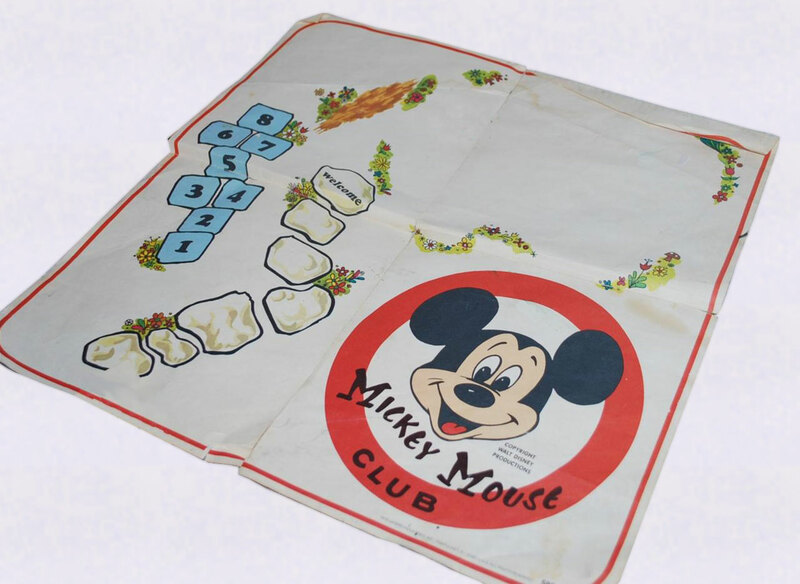 Description: 16 x 16" white paper playmat with a red edge and a large red circle with Mickey Mouse's face in the center and "Mickey Mouse Club" in black under Mickey's face. One side of the mat has a 8-blue block hotscotch game, and a 7-step walking stone path (7th step marked "welcome" in black. The other side of the mat has rounded flower patches (to fit the cluhouse within the clear area circled by the flowers). 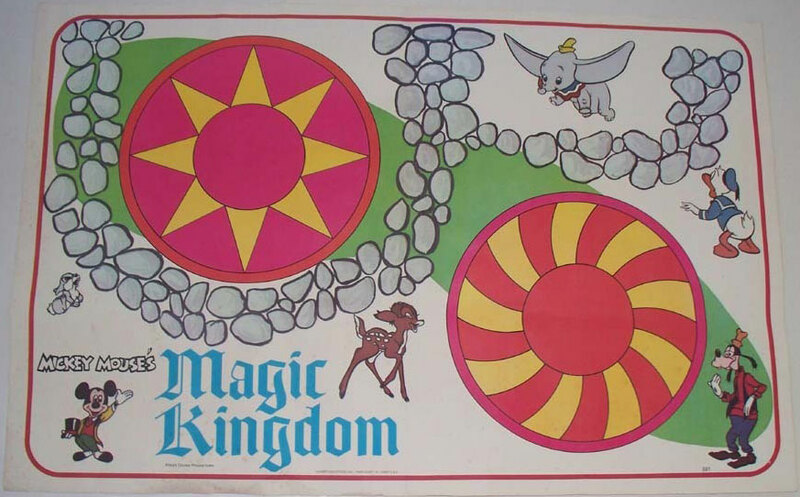 Description: White rectangular vinyl playmat marked "Magic Kingdom" in blue. Playmat has 2 round red areas (for Flying Dumbor and Teacup Ride), a grey rock "path", and features pictures of Dumbo, Donald Duck, Goofy, Bambi, and Mickey Mouse.